This morning, residents of Cairo woke up to something they haven’t seen in 112 years — snow! As winter storm Alexa sweeps through the eastern Mediterranean, parts of the region are seeing colder weather than they have in years. This is the first snow in Egypt for 112 years. 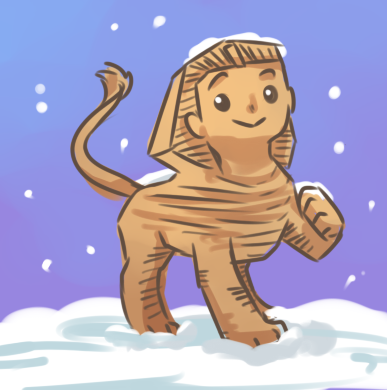 This angle of the Sphinx shows the anomalous weather condition even more. A sad end to the Year of Luigi in which Danny Wells, who played him on the Super Mario Bros. Super Show both in voice and in person, passed away last week. A lot of people think the live action segments of the show were pretty campy and lame, but growing up, to see the Mario Bros. in person like that was amazing to me and I always thought Luigi was such a slick, cool guy. R.I.P., Danny. Bummed. To me, Danny and Lou are THE voices of Luigi and Mario. My favorite headline of 2011.